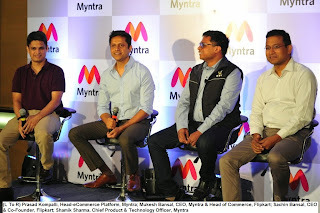 Mumbai, May 12, 2015: Myntra today announced the company’s transition to an “app only” platform, marking the end of desktop and browser based shopping. With mobile-based commerce emerging as the next biggest opportunity, Myntra has taken a step towards creating a differentiated shopping experience for its consumers, which will be individualized and engaging. The rapid expansion of smartphones from 120-140 million in 2014 to 600-700 million in 2020 will provide the base for creation of an inclusive market unprecedented in the history of fashion shopping. Mobile apps are taking utilitarian role in users’ life by being the default mode of accessing and consuming internet services. According to a recent study, 90% of smartphone users in India use apps, which is close to 158 million as of today. The country ranks second only to the US in the usage of shopping apps. By going App Only, Myntra willfurther strengthen the core value proposition of helping people “Look Good”. There has been an incredible customer responseto the fashion focused content & services such as style solutions by stylists, Look Good tips &curated offerings backed by a wide selection of brands. The company plans to take the next step by bringing a whole new experience to its users through a rich set of features that would enable discovery and consumption of fashion products, content and services - personalized to individual’s need, taste and choice. 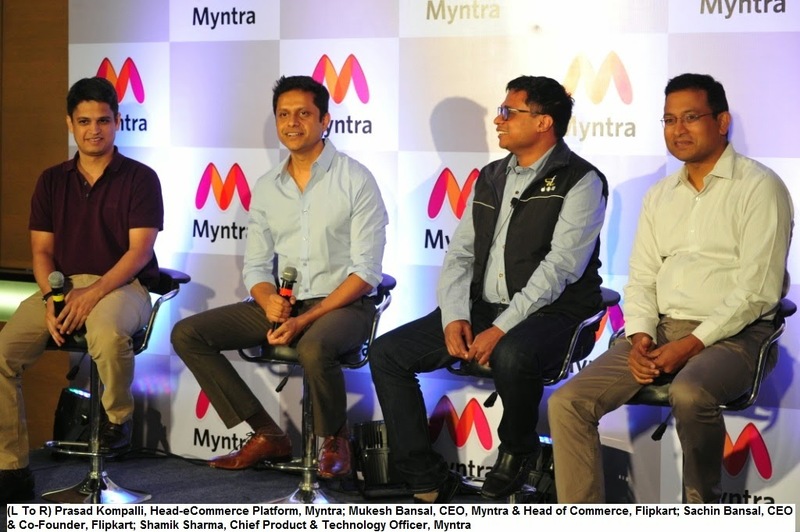 According to Mukesh Bansal, CEO, Myntra & Head of Commerce, Flipkart, “We are immensely pleased to announce our transition to an app only platform and promise a very exciting & new age shopping experience to our customers. Fashion is a very personal experience. We believe that only mobile can truly deliver this experience as it captures user’s lifestyle and context in manner that no other medium does. Think of all the hardware and software features that one can leverage like camera, contact, location etc. to understand the user’s context and deliver the experience that is deeply personalized”, he added. · Close to 95% of the Internet traffic at present comes through mobile devices, over 70% of sales are via mobile devices. · More than 9 million users have downloaded the Myntra App so far. · Myntra has been growing at a fast pace and is intended to hit the $1 billion mark in revenues by the year 2016. · With introduction of new features, Myntra is targeting the next 5 million App Downloads In 3-4 Months; with customer engagement increasing multi-fold over the quarter. · Myntra and Flipkart together command a market share of over 50% in the online fashion space. Myntra is among the leading e-commerce platforms in India for fashion and lifestyle products. Myntra has partnered with over 1,000 leading fashion and lifestyle brands to offer a wide range in latest branded fashion and lifestyle wear. The platform receives over 90 million visits every month and services over 12,000 pin codes across the country. With the largest in-season product catalogue, 100% authentic products, Cash on Delivery and 30-day Exchange/Return policy, Myntra is today the preferred shopping destination in India.